This is a valuable resource for answering the complex HR questions that arise on any given day. 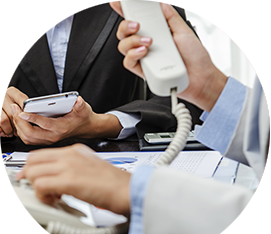 You can call or e-mail our Research Department to get prompt information on Benefits, Compensation, Employment Law, HR Administration, Labor Relations, Safety, Work Rules, and virtually any other HR topic. We pride ourselves on a turnaround time of 24 hours on most information requests. This is a valuable resource for answering the complex HR questions that arise on any given day. You can call or e-mail our Research Department to get prompt information on wide array of HR topics. Turnaround time averages less than 24 hours on most information requests. Effectively, our professional research staff becomes an extension of your HR department. Available to ASE members 24 hours a day, 365 days a year, this exciting tool offers an online compliance library. 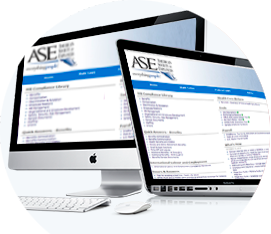 ASE’s Virtual Library, powered by CCH's HRAnswersNow®, will be your one-stop resource for referencing state and federal HR laws, regulations, policies, and news updates.